Globular clusters, containing the oldest known stars, may date from the earliest formation stages of galaxies, shortly after the Big Bang. Their chemical compositions, dynamics, and spatial distributions are therefore important diagnostics for our understanding of the chemical and dynamical evolution of galaxies. We are analyzing the globular cluster systems associated with external galaxies and elucidating their photometric and spatial properties. Globular clusters are the earliest-formed components of galaxies, and their nature and distribution will provide clues into the complex subject of galaxy formation and enrichment. This area of research has benefitted enormously from recent technological developments. Many of the major observatories worldwide are now equipped with multi-object spectroscopic systems which allow us to acquire spectra for literally hundreds of the star clusters which surround external galaxies in a single long exposure, rather than turning the telescope from one target to the next in painstaking traditional fashion. This breakthrough has allowed us to study the dynamical state of the swarms of globular clusters which orbit galaxies, with the objective of inferring from their present motions how the galaxies themselves were formed. 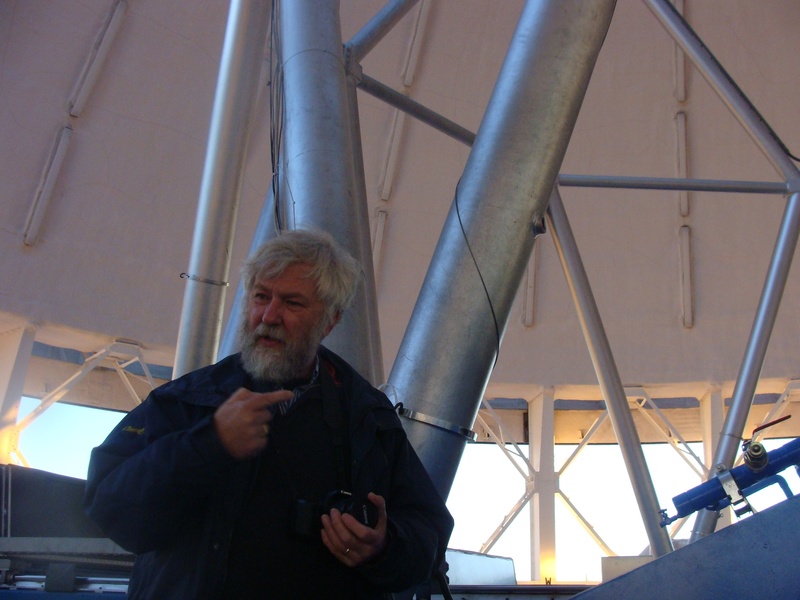 I am fortunate enough to win frequent awards of observing time on the Canada-France-Hawaii Telescope, the Anglo-Australian Telescope, and the Hubble Space Telescope (among others), and much of my work is carried out in fruitful collaborative efforts with astronomers in the United States, England, Australia, and Chile, as well as elsewhere in Canada. Ours is truly an international science!